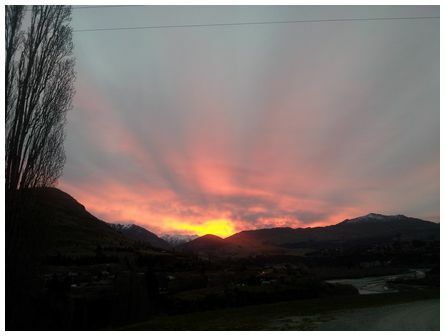 'Sunset in the Wakatipu, taken at 17:52 on 2 August 2013 on Samsung Galaxy phone' wrote Bruce. 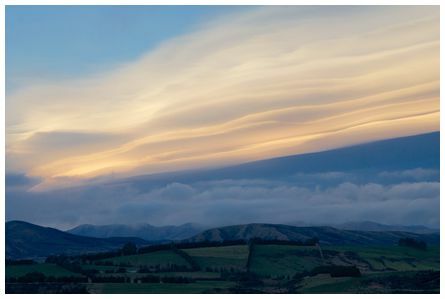 'From Ramparts Road, Te Anau, looking northeast in the evening ahead of the disturbed weather system bringing wind, rain and snow to the country. Strong lighting from sunset on the cloud edges gave the formation a very imposing look. 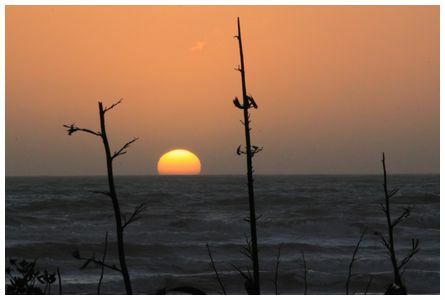 Taken at 17:00 on 4 June 2012. Nikon D90, ISO 800, 78mm, f10, 1/200s' wrote Jonathon. 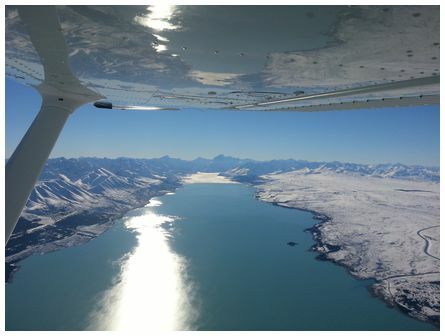 On 29 July 2013 we showed a photograph of Nick's taken on a flight over the South Island on the 26 June 2013 after the big snow dumping that hit the South Island. Here is another one taken on his flight between Christchurch and Queenstown from a Cessna 172. 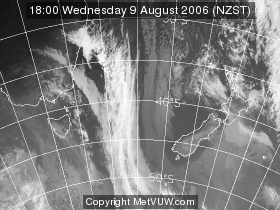 It shows the view looking up Lake Pukaki with Mount Cook in the centre of the photo. 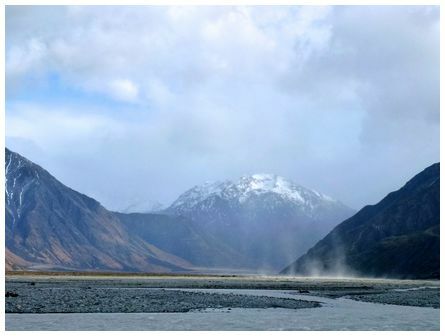 'Dust from the galeforce northwest wind on 2 June 2013 at Erewhon Sation at the top of the Rangitata. Clyde River in the photo. Panasonic Lumix TZ20. Thanks for the site' wrote Wendy. 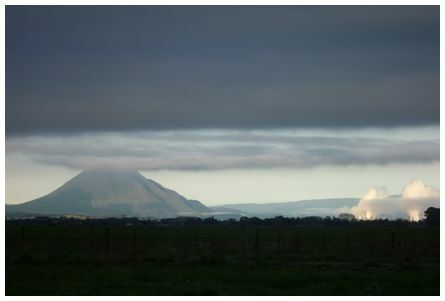 'Putauaki (Mount Edgecumbe) in the eastern Bay of Plenty, with smoke from the Kawerau paper mill, taken at 08:15 on 22 July 2013 from Whakatane-Tauranga road. Pocket camera' wrote David.